“The Internet of Things: Implications for Consumer Privacy under Canadian Law” (co-authored by Lindsay Taylor and Alexandrina Hanam, 2017) available online: <http://ir.lib.uwo.ca/lawpub/91>. “Submission to the Office of the Privacy Commissioner of Canada: Consultation on Consent and Privacy” (co-authored by Scott Tremblay and Daniel Weiss, 2016) available online: <http://ir.lib.uwo.ca/lawpub/90>. “Commodification of Information and the Public Good: New Challenges for a Progressive Librarianship” Progressive Librarian no.43, Winter 2014/2015. 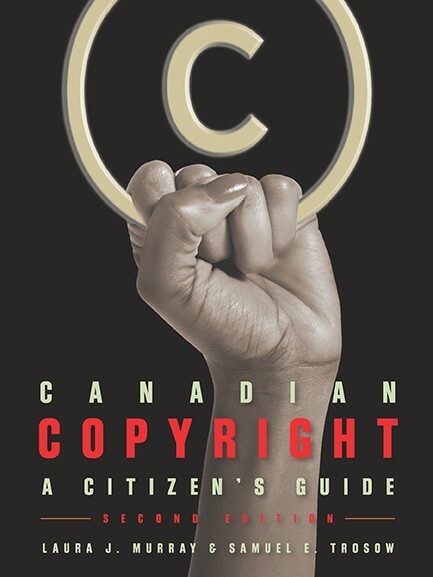 Canadian Copyright: A Citizen’s Guide, (2nd edition, co-authored with Laura Murray, Between the Lines, 2013). “Fair Dealing Practices in the Post-Secondary Education Sector after the Pentalogy,” Chapter 7 ( pp 213-233) in Michael Geist , (ed. ), The Copyright Pentalogy: How the Supreme Court of Canada Shook the Foundations of Canadian Copyright Law (2013, UOttawa Press, available online at http://www.press.uottawa.ca/sites/default/files/9780776620848_7.pdf). “Objections to the Proposed Access Copyright Post-Secondary Tariff and its Progeny Licenses: A Working Paper” (co authored by Scott Armstrong & Brent Harasym,14 August 2012) <http://ir.lib.uwo.ca/fimspub/24/>. “Bill C-32 and the Educational Sector: Overcoming Impediments to Fair Dealing”, Chapter 18 (pp 519-546) in Michael Geist (ed), Canadian Copyright and the Digital Agenda: From Radical Extremism to Balanced Copyright (Irwin Law, 2010). “Why Copyright Fair-Dealing Needs Flexibility .” Lawyers Weekly 29: 41(March 12, 2010). “Law and Technology Theory: Bringing in Some Economic Analysis.” Bulletin of Science, Technology & Society 2010 30: 30-32. Information Flows and the Transfer of Knowledge: A Conceptual Approach for Policy Makers (McGill University, 2006 Meredith Lectures). Constraining Public Libraries: The World Trade Organization’s General Agreement on Trade in Services (co-authored with Kirsti Nilsen, Scarecrow Press, 2006). “Changing Landscape of Academic Libraries and Copyright Policy: Interlibrary Loans, Electronic-Reserves, and Distance Education.” Chapter 14 (pp 375-407) in Michael Geist, (ed.) “In the Public Interest: The Future of Canadian Copyright Law.” (Irwin Law, 2005, available online at: http://209.171.61.222/PublicInterest/Two_10_Trosow.pdf). “Sui Generis Database Legislation: A Critical Analysis” Yale Journal of Law and Technology. 7: 94 (Spring 2005). “The Ownership and Commodification of Legal Knowledge: Using Social Theory of the Information Age as a Tool for Policy Analysis,” Manitoba Law Journal 30(3): 417 (2004). “Terminology is Important,” (in Perspectives column: “Patrons, Customers, Users, Clients: Who are They and What Difference Does it Make What we Call Them?”) Public Libraries 43(2): 86-87 (March/April 2004). “The Illusive Search for Justificatory Theories: Copyright, Commodification and Capital,” Canadian Journal of Law & Jurisprudence XVI(2): 217-41 (July 2003). “Fair-Use in the Digital Age” in Global Issues in 21st Century Research Librarianship, Sigrun Klara Hannesdottir ed. (Helsinki, NORDINFO 2002). “Jurisdictional Disputes and the Unauthorized Practice Of Law: New Challenges for Law Librarianship,” Legal Reference Services Quarterly 20 (4): 1-18 (Fall 2001). “When is a Use a Fair Use? University Liability for Educational Copying,” portal: Libraries and the Academy, 1.1 (2001): 47-57. “Organizational Theory in Library and Information Science Education,” Journal of Education for Library and Information Science 41(2): 129-142 (Spring 2000).